Studious Jonathan (Bryant Chang) and rebellious Shane (Hsiao-chuan Chang) first meet as elementary school classmates. Years later, when a new girl arrives in school, she quickly falls for Jonathan, but he rebuffs her, and she turns her affections to his best friend, Shane. 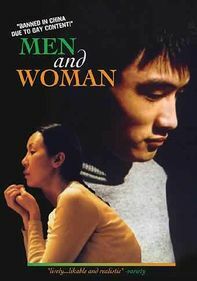 A love triangle develops, leaving Jonathan questioning his sexual identity and his feelings for Shane in this sensitive coming-of-age film.